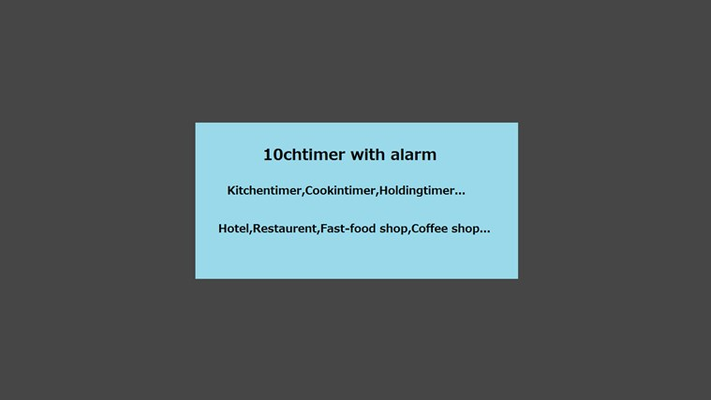 10ch countdown timer 0hour0minute0second〜99hour59minute59second Restaurent,Hotel,Cafe,Fast-food... Kichentimer,Cookingtimer,Holdingtimer... ①set ch1-time ②set ch2-time ③set ch3-time ➃set ch4-time ⑤set ch5-time ⑥set ch6-time ⑦set ch7-time ➇set ch8-time ⑨set ch9-time ⑩set ch10-time ⑪touch｢Start｣button. ⑫When timer is time-up,alarm will be active for about 8 second. ⑬If you want cancel the timer,touch the ｢Cancel｣button. 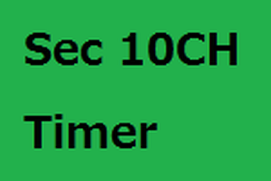 Sec 10CH Timer： ①Input the time-data. ➁Touch the ｢Start｣ button. 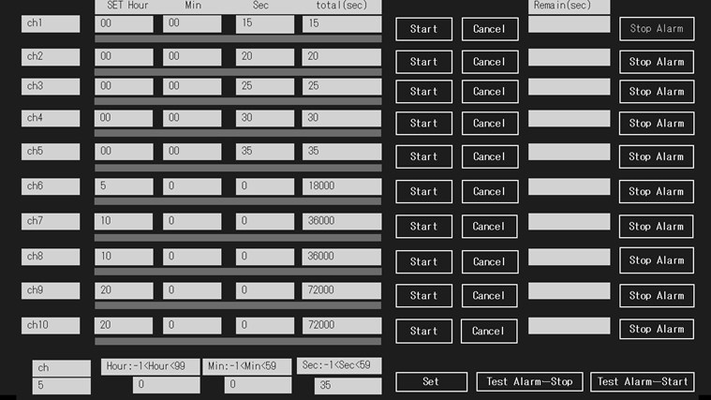 ③When the timer is time-up,alarm will be active for about 8 seconds. ④You can cancel the timer by touching the ｢Cancel｣ button. ⑤You can restart after touching the ｢Reset｣ button. 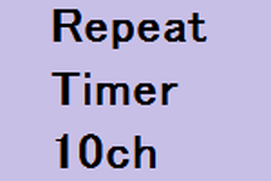 Repeat Timer 10ch CH1〜CH10 :9999>repeat se ttime>10, 99>set number of times>1. ①Input the time-data. ②Touchthe｢Start｣button. ③You can cancel the timer by touching the ｢Cancel｣ button.  ➃When the timer is time-up,alarm will be active for about 8 seconds. 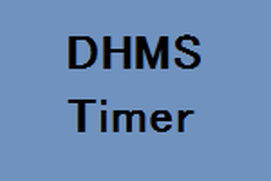 DHMS Timer :Day,Hour,Min,Sec :10≺Timer-Setting≺99Day23Hour59Min59Sec ①Input the time-data. ②Touch the ｢Start｣ button. ③You can cancel the timer by touching the ｢Cancel｣ button. ➃When the timer is time-up,alarm will be active for about 8 seconds.